Attention: at this moment PARK is closed for installation of this show. 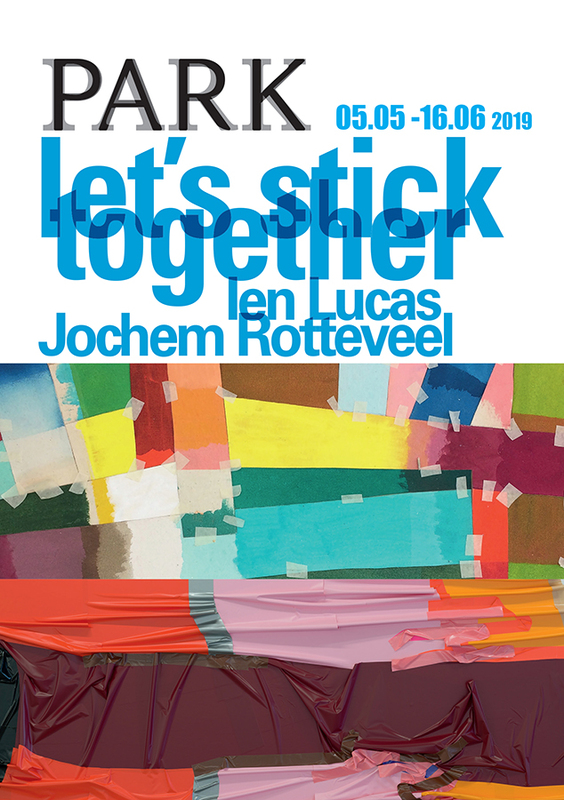 Let's Stick Together is a duo presentation by Ien Lucas (NL) and Jochem Rotteveel (NL) curated by Rob Moonen. PARK shows the work of two artists who explore the borders of painting. Ien Lucas creates multicolored abstract compositions that go beyond the boundaries of the stretcher. Jochem Rotteveel’s painting medium is tape and foil. At PARK, walls and floors turn into his canvas. You are cordially invited to the opening on Saturday May 4 at 4 p.m. which will be performed by Paula van den Bosch, curator of the Bonnefanten Museum Maastricht.